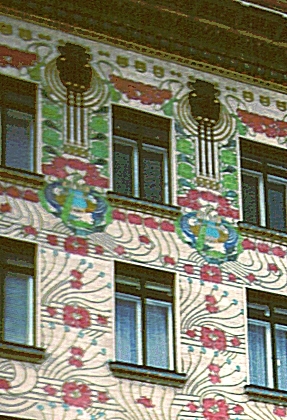 Images of Majolikahaus, Vienna, Austria by Otto Wagner, 1898. Digital Imaging Project: Art historical images of European and North American architecture and sculpture from classical Greek to Post-modern. Scanned from slides taken on site by Mary Ann Sullivan, Bluffton College. 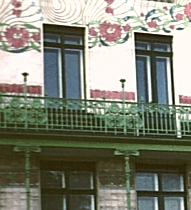 Although the facade is flat and rectilinear, not curvilinear like some art nouveau architecture, the external decoration shows the influence of art nouveau (or Jugendstil). 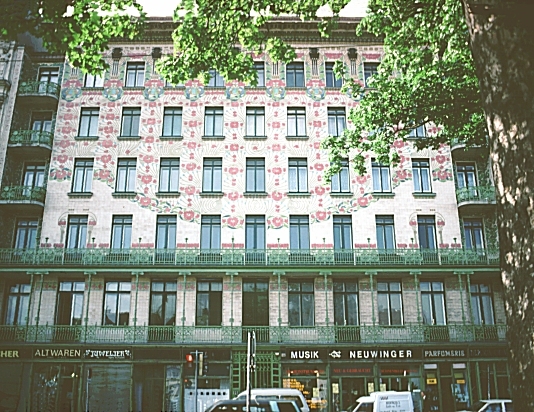 Adjacent to the so-called Majolika Haus (seen in the left photograph) is Linke Wienzeile No. 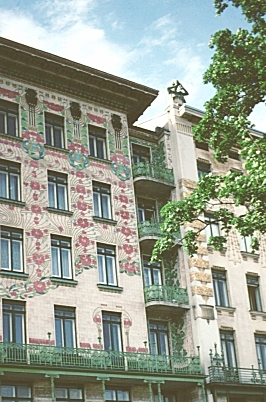 38, an apartment block also designed by Wagner. 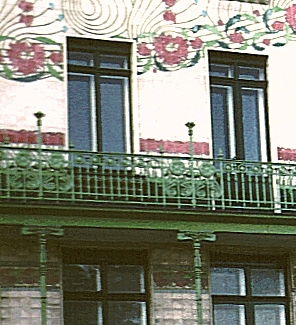 Decorative iron balconies and colored ceramic floral designs (the latter designed by Wagner's student Alois Ludwig) associate this building with the art nouveau style. 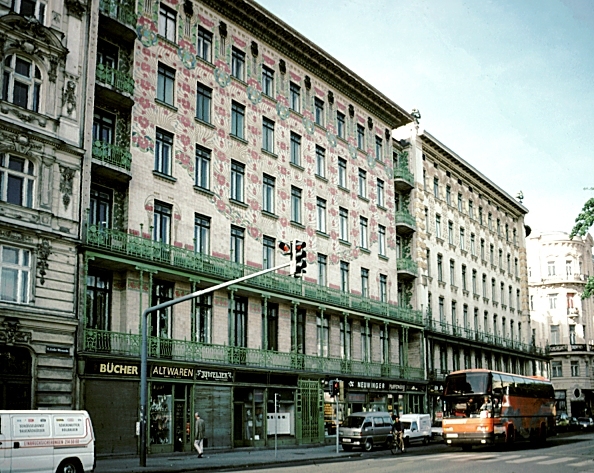 Other buildings by Otto Wagner on this site include: Apartment Block No. 38, St. Leopold "am Steinhof," Subway Pavilion, and Villa Wagner. For an Italian version of this style (the so-called Liberty Style), see the Villa Ruggeri in Pesaro.